With an excellent question and answer navigation, and a user interface that was free from clutter, E-File.com looked poised to earn a recommendation as a tax software worth considering. Unfortunately, a few software issues and a mid-tier price point knocked them out of contention for being at the top of the tax software pack. We review the pros and cons of E-File.com, so you can decide whether the software service worth considering for your 2019 filing. E-File allows users to choose between question and answer or self-guided navigation. The interview style was simple and quick to use. I was impressed by how E-file grouped questions together to streamline the tax filing process. 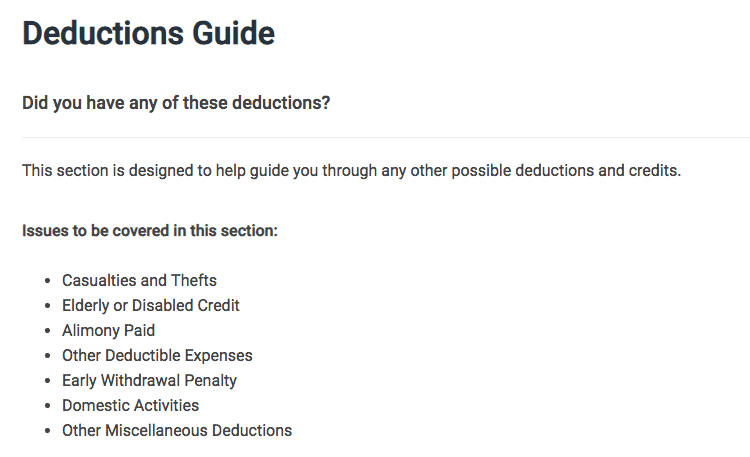 However, I somehow got stuck in a loop when I was answering questions about itemized deductions. I would complete the section, and then be prompted to start the deduction section again (even though my answers were saved). Thankfully, the deduction section was the last section in the software. If it weren’t for this issue, I would rank E-File.com as highly as H&R Block and TurboTax for its navigation. Unfortunately, sending users into the holding pattern could really throw off newer filers. Advanced users who want to use the self-guided navigation will have an easy time finding what they need using the menu on the side of the screen. E-File.com is one of just a few software services that has a dedicated support staff of tax professionals available during tax season. This can be exceptionally helpful if you’ve got tax related questions. Aside from the support staff, E-File.com is devoid of help features. You cannot import W-2 forms, and it’s tough to figure out how the software is doing it’s calculations. This is important if you want to “gut check” information such as depreciation on your rental properties or your total business expenses. After all, it’s easy to mistype a few numbers and lead to dramatically different results. One of E-File.com’s strongest points is it’s knowledge articles. You can either search for information, or use the question marks throughout the software to understand what certain words mean. Overall, E-File.com simplifies the tax jargon, so that most users (including new filers) can enter their information correctly. E-File.com offers three pricing tiers which includes a free tier, a deluxe tier, and the premium tier. The premium tier is the only tier that fully supports all credits and deductions as well as all schedules for income. Who Should Use E-File 2019? Unfortunately, E-File.com is a mid tier software with mid tier pricing. This means it’s tough to decide who could benefit from it. For a similar quality at a lower price point, most users should opt for FreeTaxUSA. Users who want more robust features should opt for H&R Block or TurboTax.